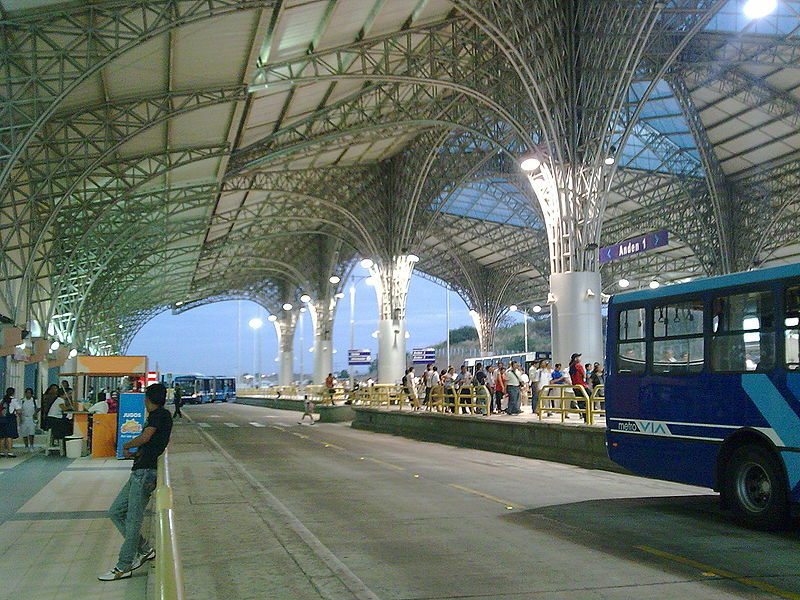 The 2011 SIBRT Congress is co-hosted by Metrovia, a bus rapid transit system in Guayaquil, Ecuador. Image via Wikipedia. Representatives from the most influential transit agencies in Latin America will join bus system developers and other international transport experts on April 25-28 to share “Best Practices in Integrated Transport Systems and Bus Rapid Transit in Latin America.” The four-day conference is hosted by the Latin American Integrated Systems and BRT Association (SIBRT) and co-organized by Metrovía Foundation and EMBARQ (the producer of this blog), with the support of the Municipality of Guayaquil. The conference will feature speakers of agencies and organizations from more than 10 countries in Latin America, Europe and Asia, including Mr. Jaime Nebot, Mayor of Guayaquil, Dr. Carlos Dora from the World Health Organization (WHO) and Mr. David Wong, Ecuador Project Director of the United Nations Development Program (UNDP). In addition to providing a forum to discuss the successes and challenges of implementing new transit systems, the event will explore new technologies and regional strategies to help modernize Latin America’s urban transport sector in order to improve the quality of life and public health in cities. The Second General Assembly of SIBRT will also convene on April 25 to launch the Benchmarking Indicators System to establish measureable standards for the region’s tranist sector, in cooperation with the Across Latitudes and Cultures – Bus Rapid Transit Centre of Excellence (ALC-BRT CoE), of which EMBARQ is a member. To see the full agenda, visit the official event website: www.sibrtguayaquil2011.com.